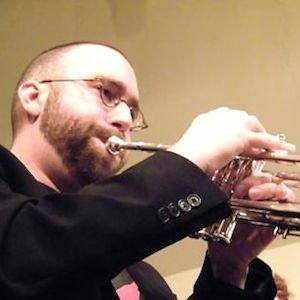 Derek Worthington has been playing trumpet for 20 years, and has extensive experience performing professionally in a wide variety of styles, including classical, jazz, rock, folk, and world music. He holds an M.M. in Improvisation from the University of Michigan and a B.M. in Trumpet Performance from the University of Missouri, Kansas City. He is also active in the Southeast Michigan experimental music scene, leading and performing with many improvised and new music ensembles. As a teacher, Derek is excited to share his passion for music with students. He works to build a strong foundation of technique and musicality while keeping a focus on the big picture of expression and creativity. Lessons are tailored to the unique needs and interests of each individual. In addition to working with students on fundamentals, band repertoire, pieces for competition, and any other material, Derek can also incorporate music theory, improvisation, ear training, and composition. The primary goal is to make music that is as rewarding as possible. Rates: $30 /30 min; $40 / 45 min; $50 / full hour.